To celebrate the release of ROOM in cinemas now, we’re taking a look at the incredible nine-year old Jacob Tremblay and why this rising young star is one to watch. Jacob Tremblay made his first entrance to film in 2013 as ‘Blue’ in Smurfs 2, before appearing in several TV movies such as My Mother’s Future Husband (2014) and Santa’s Little Ferrets (2014). Now, the youngster is receiving critical acclaim for his performance as Jack in Lenny Abrahamson’s ROOM, including a win for Breakthrough Performance at the National Board of Review USA. Jacob also recently picked up a Critics’ Choice Award in the Best Young Actor category for ROOM. 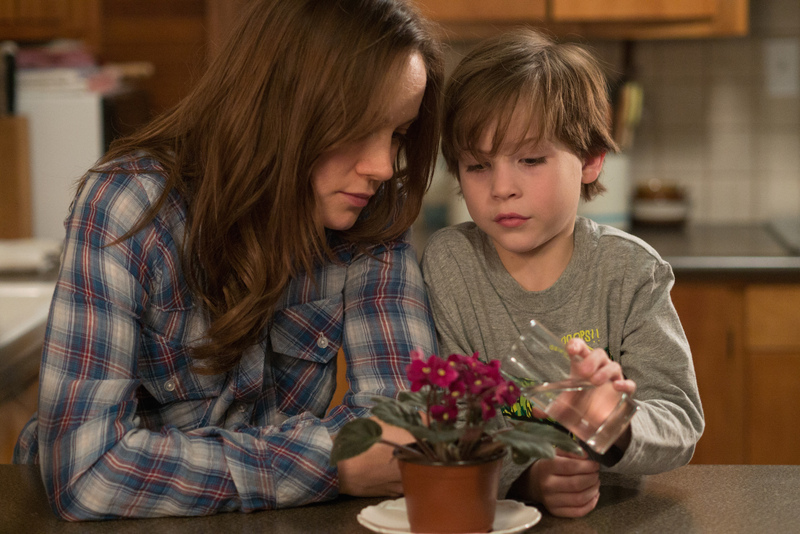 As five-year-old Jack, who has spent his entire life enclosed in a room with Ma (Brie Larson), Jacob’s beautiful and enticing performance as he discovers the real world will steal your heart. But where can we see young Jacob next? Do not fear, Jacob will be back on our screens throughout the year, however down a slightly different route in his next appearance. Jacob will be staring in Robert Eggers horror-thriller ‘Before I Wake’ as young Cody, an orphaned boy who is taken in by Mark (Thomas Jane) and Jessie (Kate Bosworth) but things take a turn for the worse when young Cody’s dreams begin to manifest in reality as he sleeps. This will not be Jacob’s only thriller of the year either; starring in Mike Flannagan’s ‘Shut In’ alongside Naomi Watts, we will see child psychologist (Naomi Watts) caught in a deadly storm as she tries to reach a young boy (Jacob Tremblay) before he disappears forever. Lastly, Jacob will be appearing on our screens in Colin Trevorrow’s ‘The Book Of Henry’, once again alongside Naomi Watts who plays his mother, Susan Carpenter. Jacob will be playing young Peter Carpenter, who acts as the surrogate father to his younger brother Henry, whom develops feelings for the girl next door and writes a book plotting the murder of her father who is causing her harm. Henry and Peter’s mum, Susan finds the book and joins in with the plot. Needless to say, Lenny Abrahamson’s ROOM will not be the last we see of this little gem throughout 2016. ROOM is in cinemas now. Kingsman: The Secret Service Tweet-A-Long Party! Jupiter Ascending Concept Art Revealed!